Foreigners who are resident in Spain now have a new obligation to report all assets held outside Spain worth more than €50,000, including bank accounts. Expat fiscal experts Blevins Franks explain. Back in April, the Spanish government announced details of its draft new anti fraud plan. One of the proposed measures related to assets held outside Spain and would affect most expatriates living here. Confirmation was finally received at the end of October, with more information provided in mid-November. Law 7/2012 of 29th October 2012 was published in the Official State Gazette the following day. It amends existing tax and budget legislation and adapts financial legislation to strengthen action to prevent and combat fraud. Most measures came into effect immediately. It arms the Spanish Tax Authority with powerful weapons to fight tax fraud and the hidden economy – one of the main priorities of the Spanish government’s economic policy. State Secretary for the Treasury, Miguel Ferre, described this new anti fraud plan as “the most ambitious legislation in this field since the 1970s”. The value to be declared in most cases is the balance as at 31st December. In the case of accounts you also need to report the average balance over the last three months of the year. In the case of immovable property, it is the cost of acquisition. The reporting deadline is normally the end of March, but this year it is the 30 April. To repeat, you only have to declare assets where the total value of assets in each of the reporting categories (for example, cash in bank accounts) is €50,000 or over. You only need to report the asset/s again the following year if their value has risen by over €20,000. Failure to comply with the obligation will have costly consequences when discovered by the tax authorities. A €5,000 penalty will be imposed for each omitted data – with a minimum penalty of €10,000. On top of this, an asset which has not been reported under this new system and is discovered by the tax authorities will be assumed to have been acquired with undeclared income, and will be treated as an ‘unjustified capital gain ’ for the most recent tax year which is within the statute of limitations. 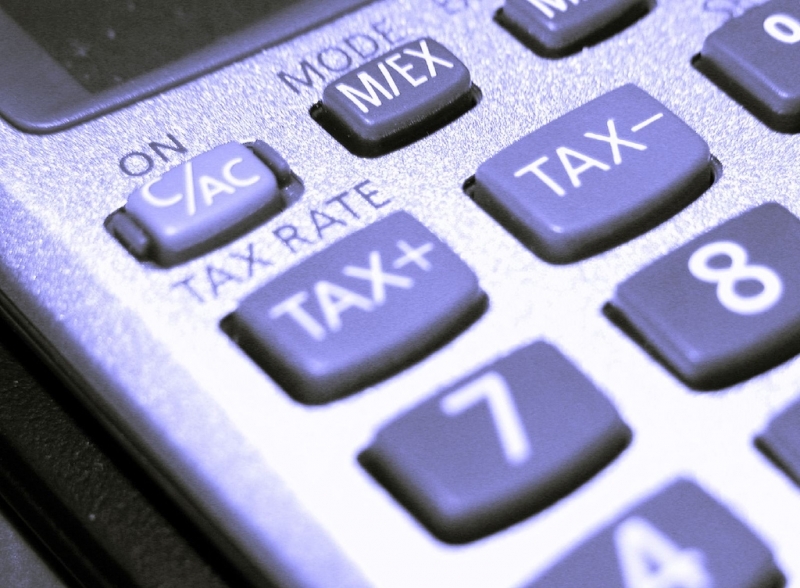 Under Spanish law tax investigations can go back four years, so the income would be deemed to arise four years prior to the year the asset is discovered. It will be taxed at the marginal rates of income tax (so up to 52%, or 54% in Andalucía and 56% in Cataluña). This effectively eliminates the statute of limitations for undeclared assets, so the tax authorities can go back indefinitely to assess undeclared income and tax it at maximum rates, plus interest and penalties. Since this will be considered a “very serious offence”, the penalty will be 150% of the tax due. Although this is new legislation, the obligation to report overseas income is not new. Anyone who meets the tax residence criteria in Spain is already liable for tax on their worldwide income and gains and is obliged by law to declare them accordingly. Except for the years when wealth tax was effectively abolished, they should also have declared their worldwide assets on their wealth tax returns where a liability arose. So what is new and important about this legislation is not so much the reporting obligation itself, but the new consequences for failing to report. The penalties are very severe and could be more than the value of the hidden asset/s. Note also that this new law is not purely a tax obligation. Whether or not you have to submit a wealth tax return, you still need to report all your overseas assets. Professional advice is essential if you want to protect your wealth from unnecessary taxation and make sure your tax planning will stand up to scrutiny. A firm like Blevins Franks will guide you through your options for legitimate tax mitigation in Spain. Quoted under New Reporting Model….
. Temporary of lifetime income generated from the lending of money, rights or other asses to foreign entities. In line with this article that the Spanish Tax Authorities are having new powerfull ‘weapons’ to fight tax fraud the following. As a non resident owner of a house in Spain, renting the house via a agent outside Spain. So the rent- income is sent to a bank account outside Spain. Where do I have to pay tax over this rent- income. How can the Spanish Tax Authortities find out about this renting of a house. Does this mean that each individual asset needs to be over the 50,000 limit or does this refer to the total ? Also is this per person ? how does this affect couples who submit a joint tax return ? Brenda, from what I can tell it refers to the value of each individual asset, not the total. So you WOULD NOT need to declare two bank accounts of €40k each, but you WOULD need to declare one account of €80k (note: I am not at all sure about this). I guess it doesn’t matter whether the assets are in one or more names, so long as they are worth less than €50k each. You will need to consult a qualified expert if you really want to know where you stand. I’m no expert in these matters, I’m just trying to point people in the right direction. If all the accounts together add up to less than €50,000, then you don’t need to declare anything. Any account with more than €50,000 definitely needs to be declared. What about two accounts of €40,000 = total of €80,000? I’m not sure about this. I’ve seen conflicting advice. I’m trying to get to the bottom of it. Brenda. Having done more research it seems the €50,000 limit refers to the value of assets in each category mentioned above. So if you have various bank accounts with cash totalling €50,000 or more, then you would need to declare them all, even if they are shared with others. Well well the politicons have done it again. I was looking to buy a property on the Costa del Sol but this Law 7/2012 of 29th October 2012 has stopped me cold. I wonder how many others will reconsider their buying in Spain intentions once this oppressive law has become common knowledge. Viva la dictatura. Bye bye Spain. Let’s look elsewhere for a sunny climate. Rob Dewe, that’s the wisest decision you will make in your whole life. DONT buy any property in Spain. I bought 8 years ago – wanted to sell after 2 years – CANT sell as I am still waiting for my Catastral 92N. I have been told many times my Catastral will be with me soon, this started 7 years ago !!! Be a wise man and buy somewhere else in Europe, FORGET RIP-OFF SPAIN !!! I just wanna get out of Spain now – had enough of the Spanish rule bending to suit them selves!!! Do you have to declare a current account with a few hundred pounds in it? Let me clarify that, having done more research. You do need to declare all bank accounts if you have a total cash balance of €50,000 or more spread over one or more accounts. So, say you have €60,000 in one account, and €200 in another, you have to declare them both, not just the account with more than €50,000. Basically, you have to declare all bank accounts if you have €50,000 or more in cash. Consider Croatia for a change… Reasonable regulations, friendly prices, beautifull surroundings. What else would you need? WOW!!! This is a very alarming new legislation not only for the expats living in Spain but also those looking to buy/retire. Whilst one can apreciate that the Spanish Government are faced with a huge fiscal debt and this mainly because of the profligate behaviour of the property industry in the recent past. Surely this is now going to put the final nail in the coffin for the ailing property market by frightening buyers away ,but hang on! wasn’t the government hoping for a revival in the property market to head them out of this recession. Very Spanish and very strange!!! I would have thought they might want to look at a current account, not to check the assets held, but to check the income coming into it. Is that not the case? We were looking to retire to costa del sol and have our uk home for sale , but this has stopped us, how can you tax a life insurance policy ? When will the Spanish learn that they need investment not fines to cure their ailments . I’m very depressed now, as I can’t see a future in Spain being milked over and above spanish nationals. Would this law affect retired British people who have residencia (carta verde) in Spain because they own a property, although they only use it for holidays? No, it only affects people who are resident in Spain, not holiday-makers who own property in Spain. Admin-Sharon’s query, surely your reply is wrong-Sharon refers to those with residencia, there fore they are also tax resident, and this law DOES apply to them. You cannot be a holiday home owner and a resident at the same time! Marion, you are right. If Sharon is talking about retired people who are resident in Spain, then it affects them. It does not affect retired British people who only holiday in Spain, but are resident elsewhere. As we make a joint tax declaration here in Lanzarote and have a ¨nest egg¨in a UK bank (which subsidises our pension, to live on) in a joint account of approx. 70,000 gbp (less than €84,000 at present) Would we be wise to seperate this into 2 different single name accounts ? Our only other asset are a few shares that are well under the €50,000 limit. Mary, it’s too late for that. If you are Spanish resident, you are obliged to declare if you had more than €50,000 in cash abroad at the end of last year, even if it was held in joint accounts (see link below). As far as the law is concerned, you don’t get off the hook if you now split it into 2 accounts of €35,000 in 2 different names. So if I declare my house in Enland for say £200,000. How much tax will i be charged. As I have lived here for 3 years will it be backdated? Steven, you will have to check with a tax lawyer, but I doubt you will have to pay any tax on declaring your UK home, unless you paid for it with earned income during your time as a Spanish resident (and didn’t declare that income). This new law only applies to Spanish residents. But I don’t understand how you have a residency permit if you are not a resident. Are you sure about that? I have been drawing a private pension for the last seven years and have declared this income on my Spanish Tax return. Have I any obligation to report anything further concerning this private annuity? David, does it have a capitalised value worth more than €50,000? If so, then yes, you have to declare it in the new modelo 720. Mark thank you for your reply. The pension fund paid me £4849.18 in 2012 and so how do I work out the capitalised value? That I do not know – you’ll have to talk to a specialist. Just to be clear …if I have a uk cottage ( that I inherited 30 yrs ago and that I don’t rent out) of about 45-55k value and I am considered a Spanish tax resident then I am liable for tax on UK property? Connie. Yes, you have to declare them all if they have a combined total of €50,000 or more. We sold our Spanish property in Dec 2011,(at a big loss) the 3% was and still is retained even though our fiscal rep said we were fiscal residents and we were taking a rental property for 11 months after the sale and were not skipping the country with the money. My husband was in receipt of a police pension and was obliged to pay tax in UK, I had no personal income until Aug 2011 when I started receiving my small government pension which is taxed in UK. I did not start getting my UK state pension until Jan this year. We have never submitted a tax return per se in Spain as our rep advised that we did not need to. We did however, pay capital gains tax on the property we sold prior to the one in Dec 2011. In Aug 2011, I bought a small flat in the UK as I intend to live here for most of the year and will visit Spain as a tourist. The flat is in my name only as are most of the cash assets which are largely the result of the sale of the last place in Spain. I have been advised that I must make the 720 declaration but today, I have received a certificate of tax residency from HMRC after applying for it online. Should I make the declaration or will my tax status here supercede Spanish residency? We have no recollection of ever filling in modelo 30 to become tax residents and prior to getting our ordinary residents cards, we paid the usual non resident taxes. Further to above. I had already decided to return to the UK prior to this 720 business. I have cancelled my ordinary residencia on form ex18. I will be visiting the Hacienda on my next visit to Spain and if I am registered for tax there, will be removing myself from that register too. I wondered if you could clarify whether my wife and myself would be affected by this or not? Our plan is to move to Spain and live there permanently, but only rent, not buy. Would we have to declare anything? Could we decide to not apply for residency even though we will be living there full time? Yes Chris, you would have to declare if your assets outside of Spain match the reporting requirements explained above. Renting doesn’t make any difference. Many people live here full time without declaring their residency. It’s not legal and there is a risk of being caught, though I’m not sure how hight it is. Many thanks for your reply Mark. We’ll have to thoroughly think about how we proceed, thanks once again. We obtained residencia/NIE in March 2012 and were not liable for the payment of Spanish tax during 2012 under the 183 day rule. I am about to consult an accountant over Spanish tax return for 2013, due by 30th June this year. However, on reading posts in this forum it would appear I should have declared these anyway before I submit my annual tax return. Will I be punished with a fine or penalty for declaring now. Help!